For a restaurant owner or manager, food costs are the highest and most volatile component to your restaurant budget. When prices for ingredients are low, you’re happy and see a high-profit margin on dishes. But when prices are high, they eat into your profitability and may cause your restaurant to suffer. While you can’t avoid food cost fluctuation entirely, a little advanced planning can help you mitigate it a bit. You may not realize that the cost of oranges rises steeply during the summer unless you track what you pay for them. Usually, prices rise and fall with the same cadence each year, based on seasonality. In general, all food will rise slightly in price, due to inflation. Using restaurant inventory management software, you can easily see what you paid this time last year for an ingredient so you can assess whether the current price is reasonable or too high. Not only is summer zucchini or winter squash a tasty addition to your regular menu, but it can also save you money. Because seasonal produce is in abundance, you can often pay a fraction of what you’d pay any other time of the year. Consider switching out an ingredient that is particularly costly in a season with something else that’s cheap. If you have risotto on your menu year ‘round, switch out the green beans (plentiful and cheap in summer) with mushrooms come fall to keep recipe cost down and profit up. You’re often at the mercy of what your supplier charges you for ingredients, but that doesn’t mean you have to be. Each vendor you work with wants your business guaranteed for as long as possible. Negotiate by asking for a locked-in price for a stretch of time, like a year, on an ingredient that tends to fluctuate in price. It’s the same premise that cable companies use to get new business: they offer you a low, set price on services for a year, and after that, your rate may go up. But when that year rolls around, you can always renegotiate or shop around for a better price. The great thing about running a restaurant in this day and age is that you’re not limited to the vendors in your immediate area. Online wholesalers of ingredients may be more competitive, even if you have to pay shipping. Start with local vendors, of course, because the food is fresher and you can support your local business community. But for non-perishables or items that can easily be shipped, like flour or nuts, see if you can get a better price online. Especially for items, you can order in bulk, you can pay shipping once and stock up for a while. If you aren’t diligent about what you’re paying for individual ingredients, you can’t know if you’re paying too much. It may seem like a headache to check every single invoice, but doing so can alert you to when prices rise or even help you catch a discrepancy in what you were billed. If you use restaurant management software that features purchasing and ordering management features, this process will easily become part of your weekly routine. 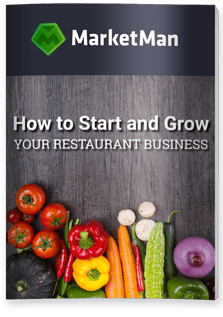 As the restaurant manager or owner, you have one set of responsibilities. Your chef has another. It’s important that the two of you are aligned on the menu and the ingredients you use to stay within budget for a given recipe. If you have a chef prone to artistic flourishes, you want to make sure he’s not ordering $20 flowers handpicked in the Amazonian rain forest to garnish a $15 chicken dish. Be open with him about your budget constraints and ask that he be creative within that scope. You can’t control food cost fluctuation, but you can build a strategy around it so that you maximize low-cost ingredients and ensure that you’re paying the best price for everything else.